A self-exiled loner returns to his hometown when his brother passes away. There's a lot more visual storytelling on display here than you might expect from a narrative of this nature, and Lonergan's leading man is required to deliver a largely silent performance. It's not Affleck's dialogue we ultimately remember so much as his moments of silence. With his first two films - 2000's You Can Count On Me and 2011's long delayed Margaret - playwright turned screenwriter-director Kenneth Lonergan announced himself as one of the most talented dramatists working in American cinema. 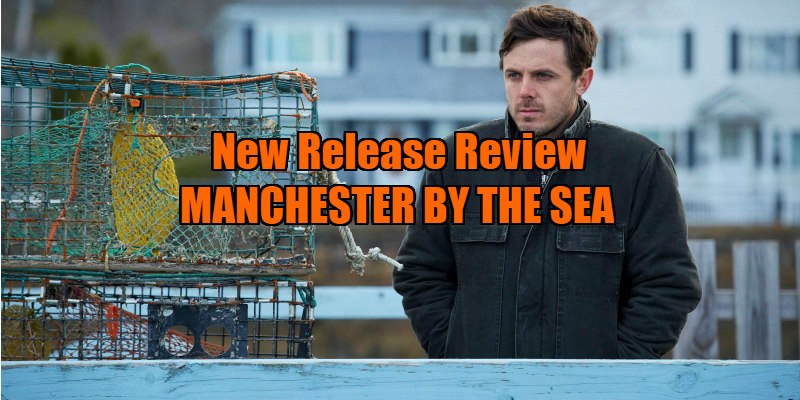 His latest, Manchester by the Sea, makes it a hat-trick of near masterpieces, and confirms him as the most important American filmmaker of the 21st century. On paper, Manchester sounds like a movie we've seen dozens of times before. Narratives involving troubled protagonists forced to return to their hometown first reared their heads in the '90s with comedies like Grosse Point Blank and Romy and Michelle's High School Reunion, and they've become a Sundance cliche ever since. Lonergan has been here before with You Can Count On Me of course, but his new film, along with Trey Edward Shults's remarkable debut Krisha, proves there's life in this most contrived of scenarios still. The figure reluctantly returning home here is Casey Affleck's Lee Chandler (a literary in-joke sees him reading a novel by Raymond Chandler's great rival, Dashiel Hammett), a sullen loner who works as a Boston building janitor during the day, starting drunken fights and ignoring the advances of women at night. When his brother, Joe (Kyle Chandler), passes away following a heart attack, Lee returns to his titular Massachusetts hometown, and is shocked to learn he is now the legal guardian of his nephew, 16-year-old Patrick (Lucas Hedges). Lonergan's film opens with a younger Lee, Joe and Patrick goofing around on Joe's fishing boat, three guys without a care in the world. Introduced to present day Lee, it becomes clear something has damaged him, and the townsfolk refer to 'an incident' involving 'THAT Lee Chandler', with some displaying outward vehemence at the mention of his name. When we learn the specific nature of Lee's trauma in an extended flashback (scored with unnecessary classical music, as though Lonergan wasn't confident enough in the power of his visuals to illicit the required emotion - my one gripe with this film), it explains, if not excuses, his current behaviour and attitude. You might expect this scenario to play out along the lines of something like the Hugh Grant vehicle About a Boy, with the older man-child learning life lessons from his young charge, but that's not a story Lonergan is interested in feeding us. Lee isn't new to raising kids, so there's no awkwardness in how he should deal with Patrick. If he's uncomfortable handling the boy it's because he's chosen to isolate himself emotionally from people, even when in their physical vicinity. Screenwriting lecturers may well balk at Lonergan's refusal to force his characters to follow established arcs, but his populating of his dramas with people who don't change or undertake 'journeys of discovery' makes them all the more identifiable and empathetic. Lonergan has been acclaimed as a writer throughout his career, but Manchester sees him mature into a great director too. There's a lot more visual storytelling on display here than you might expect from a narrative of this nature, and Lonergan's leading man is required to deliver a largely silent performance, a task Affleck is more than up to. It's not Affleck's dialogue we remember so much as his moments of silence, such as when he stands quietly by a microwave reheating day old pizza, breathing in the first moment to himself he's been afforded since arriving home and having responsibility thrust upon his hunched shoulders. In one of his film's many flashbacks, Lonergan establishes Patrick's since estranged mother as a drunk, not through the sort of shouty confrontation you might expect, but with a very subtle visual detail that communicates far more. In a handful of scenes, Michelle Williams proves herself the most interesting American actress of her generation. In the film's most affecting moment, she - as Lee's remarried ex-wife Randi - pours her heart out to her ex-husband, but he's too far gone in his grief to let her back in his life. It's genuinely heart-breaking to watch Williams in this scene, her tough Bostonian accent creaking and swaying like a bridge caught in a hurricane. For those of us too young to have lived through American cinema's golden age of the '70s, she's our Gena Rowlands. Affleck's Lee is so closed off from the world, so distant from life that it's easy to wonder why he bothers to continue going on at all. In an early, seemingly throwaway moment, Lonergan provides the answer through the overheard phone conversation of an elderly Jewish lady moaning about having to take a seven hour drive for her Grandson's barmitzvah - "I could slit my throat, but the girls are so charming." Life gives us just enough. In his films, Kenneth Lonergan gives us more than enough. 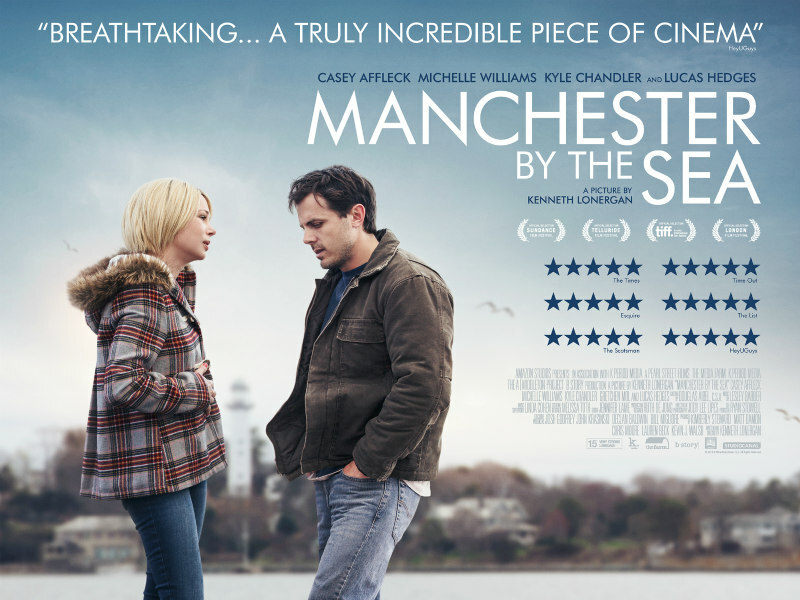 Manchester by the Sea is in cinemas January 13th.